Single System to provide near-real-time optical and LIDAR uHD maps to automotive industry, along with robust and broadband mobile connectivity for autonomous vehicles. Driverless cars, or autonomous road-based transportation in general, is being adopted by a mainstream automotive industry at a breathtaking pace. 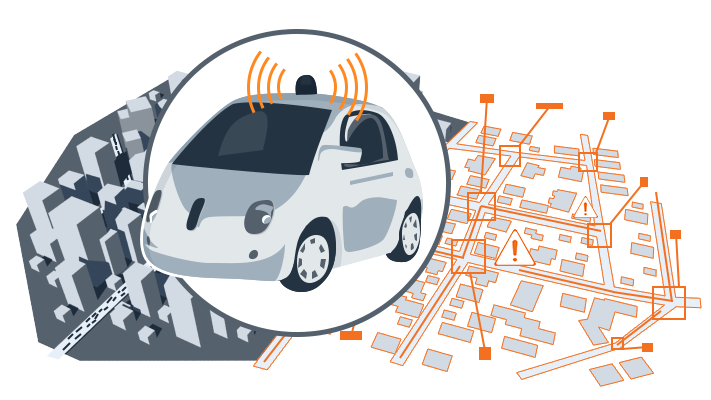 Fully autonomous vehicles are expected to be commercially available well before 2020. While two major development approaches exist in Autonomous Driving industry, both require two important (or even critical) elements: continuously updated very high-resolution maps (either LIDAR 3D points or optical images) and mobile network with emphasis on coverage range and reliability. A HiperSfera System provides both of these elements with up to nation-wide coverage, as an economically viable and scalable solution.